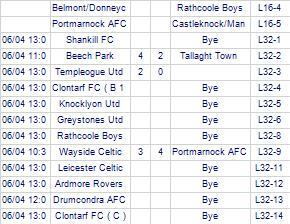 Knocklyon Utd's last result was a 5-0 loss away against Esker Celtic. 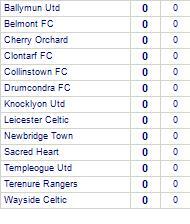 They have yet to win at home. 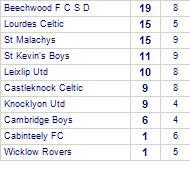 Beechwood FC B (SD)'s last fixture played was a 2-2 draw at home against Castleknock Celtic. 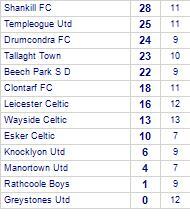 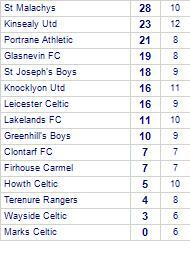 Finglas Utd's last fixture played was a comprehensive 1-5 loss at home against Clonskeagh Utd. 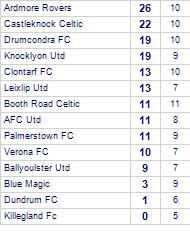 Knocklyon Utd has yet to win in this competition. 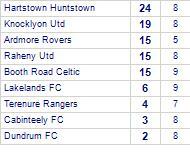 Knocklyon Utd's last result was a comprehensive 0-4 win away against Peamount Utd. 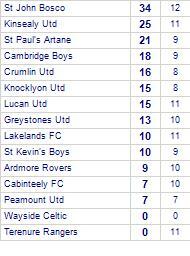 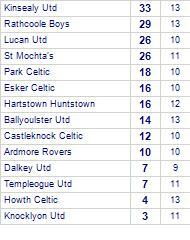 Ardmore Rovers's last game was a narrow 1-2 win away against Lakelands FC. 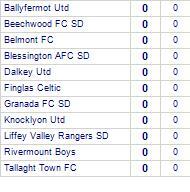 Ballyoulster Utd come from a 2-2 draw away against AFC Utd. 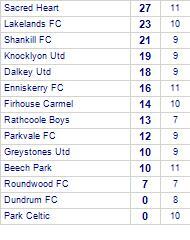 9 Sun Blue (KO 11.30 unless stated). 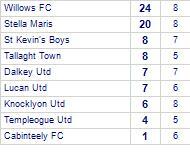 9 Sun Orange (KO 11.30 unless stated). 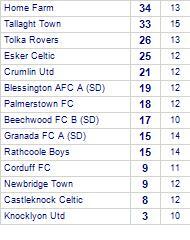 9 Sun Grey (KO 11.30 unless stated). 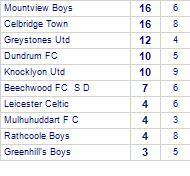 9 Sun Green (KO 11.30 unless stated).